So Who Are the Global Information Network? The Global Information Network (GIN) is a Multi-Form Foundation organized in the country of St. Kitts and Nevis and is comprised of members from three basic populations. The first would be the originators of the society, the second would be the early invitees from the affluent classes and the third would be the most important group, the general population. These would be the members that make up the vast majority of GIN and the lifeblood of GIN. The Global Information Network does not ignore this, for it is the people like you and me the GIN was formed for in the very beginning. It was conceived by a group of individuals from around the world who are the highest ranking members of several private societies, associations, clubs, and groups whose membership has been exclusive to the privileged elite class of the world. and several other elite international societies. NOTE: For obvious reasons these individuals will always remain anonymous and do not have any "official" association with GIN. This is the first time in human history that the highest ranking members of the above secret societies have encouraged the formation of a new, private, member only group that is not "select.". Contrary to the agendas of parasitic elitism, these renegades saw a need for an organization that allows people who do not qualify to become members of those "other" societies to join together, and be exposed to the same secrets revealed and taught to only those who call themselves elite. Up until now, there was a New World Order forming that is designed to increase the gap between the wealthy and the average working man. GIN and its initial founders do not agree with this movement of total control over individuals. GIN believes that EVERY person has the right to know the secrets of creating the life they want, while enjoying freedom, pursuing happiness, and achieving all their dreams and desires. There is a second New World Order forming today, an order in which all people can celebrate - an order that does not exclude you! The next group would be the already affluent - the "rich and famous". As you know, the initiators of this Society include some of the wealthiest, powerful, and successful people in the world. As example, there is a former prime minister, a current king and crown prince. There are members of various royal families, a former president of a major country, generals, billionaires, tycoons and industrialists. Yes, there are politicians, a current supreme court member, major media moguls, and several celebrities you would know by name. Finally the last group of GIN members are, as already said, the majority of GIN's society which is growing rapidly and shows no sign of slowing. In a few short months there are already thousands of general members, and I will repeat, these are the people that GIN was designed for. The ordinary dues-paying members are ordinary people like you and me. We are not exceptionally gifted or smart, but we are different because we have decided to step out of the box and not only express our desires, but to make them real. These are those of us who are tired of current economic and political trends who just want to change things - for ourselves and others, and GIN provides the knowledge and assistance for anyone to do this. In GIN, it is "We, the people" - but GIN is not a political group. It only recognizes the traps and pitfalls of our culture, and knows that money is one foundation of power and expression - it is a power to be shared so we can prevent the inevitable collapse of all things as we know. This is why the original renegade founders began this new society - they know things are too fragile to continue if the parasitic elite continue on their way as they have been. The ordinary members of GIN are ordinary but exceptional. They have normal jobs in construction, in hospitals, schools, restaurants, bookstores, factories, etc. They run small business and all live week to week. They have all extended themselves to become more in life, and to become GIN members. All Members of GIN are members of a private, global society, and as such, they reap certain benefits. They are like-minded in their dreams and ambitions, and and are freedom-orientated people from various social and economic sectors who are dedicated to achieving financial independence, wealth creation, dynamic health, and emotional well-being. The goal of GIN is to provide a safe haven where all members can build mutually beneficial long-term relationships to help one another better achieve each of their goals, desires and dreams. The health, prosperity, wealth, happiness and security of GIN's general membership is of prime importance to the core of the group. You will not be left alone as a member. In GIN, it is a situation of "members helping members," so if you've always known that you could excel if life if you only had the help and guidance, you've come to the right place with the Global Information Network. In GIN, all members retain the right to their privacy and anonymity if they choose to. So What is the Global Information Network? Freedom of speech, freedom to express ideas, opinions, and what individuals believe to be statements of fact even if it is against worldwide consensus should never be impeded. GIN is an organization where the average person can gain access to the same secret information that up until now has been the exclusive privilege of the elite class and only to members of the above societies and groups. 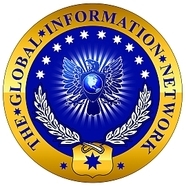 The goal of the Global Information Network is to be the worldwide communication center that will spread previously secret and hidden knowledge; knowledge that had previously been used by the ruling classes to keep the world uninformed, full of fear, impoverished and enslaved. In educating the world with this secret data, The Global Information Network hopes to empower people to have, be or do everything and anything they desire. Ultimately the outcome of these efforts will be the following: Happiness will increase, fear will fall away, people will become more prosperous than ever before, poverty, slavery, and despair will begin to vanish from the planet and violence and wars will cease to exist on planet earth. Members share a desire to help other members share knowledge, connections, and expertise, and mentor those members who are serious about taking charge of their own destinies, achieving wealth, gaining financial freedom, experiencing dynamic health, and reaching high levels of overall emotional well-being. As a member, you will gain access to mentoring by, successful powerful people from around the world: powerful and affluent experts, celebrities, professional athletes, authors, scientists, politician’s, successful business people, doctors and medical experts, leaders in various fields, plus many others. The average person would never have direct access to these types of individuals. You simply cannot get this anywhere else. Members pledge to help other members first. Business deals could be done between members first before the general public even knows about them. Ground floor opportunities, investment opportunities, the ability to raise money, get credit or financing, raise investment capital for your business ideas, or dramatically improve your health and learn ways to cure and prevent virtually every disease, and how to develop emotional well being, be happier, more fulfilled, eliminate depression and anxiety are just a few of the benefits you could enjoy. Both affiliates and members will have the opportunity to create a perpetual money making machine, giving you a permanent monthly residual income from various sources from around the world. As a member you will learn how others have raised $10k cash in 24 hours, and made over $100k cash in just 30 days! You will learn the secrets of how other members have made over $1 million dollars in just 6 months and how members have earned residual incomes of over $50k - $100k per month, month after month and month, without ever leaving their home. (business, real estate, stock market, currencies trading, commodities) You will learn how members get investment returns that the average person could never imagine. There are members who have made 50%, 75%, even up to 300%-3000% returns on their investments! You will learn how members have turned a $1000 investment into over $1 million dollars in less than a year. That’s the benefit of being “in the know”. You also gain access to the secrets of what goes on inside elite' secret societies. This includes learning about what is happening in the world, BEFORE it actually happens. You will have access to information that has never been published before that can help you achieve wealth, financial freedom, gain power and control in your life, and be happier and more fulfilled, than ever before. You will learn the secrets to contentment and true inner peace. Members will be able to access the world’s best doctors: doctors that non members would simply never have access to. One of the best doctors and member of the society has cured over 35,000 patients with cancer and other terminal diseases with a 92% cure rate. You will also have access on ways to overcome fears, phobias and insecurities or develop emotional well being by removing blocks and feel happy whatever the financial or emotional climate you are facing thus eliminate depression and anxiety. Members also have the ability to request a meeting with a certain person, or receive particular training from an expert. In the past members have requested to have personal pool lessons with a world champion billiard player. This has been provided. Others have wanted to have kung fu lessons from a real Shoalin monk. This has been provided. Others have wanted to have instruction on golf, tennis, and real estate investing. This is being provided. Others have requested cooking lessons from a world class chef. This too is being provided. You can truly HAVE, BE and DO everything and anything you desire. This is all just the tip of the iceberg. Surprising as it seems, the majority of member benefits are not discussed here. The most significant members benefits are confidential and only revealed to members. Request More Information - People from 115 countries are already part of the group. There is only one person missing ... YOU!